Acquisition brings firm's total LIHTC properties owned to nearly 7,000 units. The Rockville, Md.-based private firm now owns nearly 14,000 units, split almost evenly between market-rate and affordable housing communities. CAPREIT plans to add another $3 million in renovations to the five communities, bringing the total cost of the deal closer to $72 million. Since the firm has established a presence in the area, and self-manages all of its units, the deal was tailor-made for CAPREIT. “Richmond is a fantastic location for us—we focus on secondary and tertiary markets—but we’re also achieving economies of scale since we have about 500 units in the area already,” says Andrew Kadish, CAPREIT’s president. The communities, which range in age from 11 to 16 years old, had been managed previously by Landmark Property Services. They are Overlook at Brook Run, The Glenns at Miller Lane, Creekpointe, Lieutenants Run and, Longhill Grove. CAPREIT did not name the seller. CAPREIT is a family company at heart, and its presence in the LIHTC space is also a family affair. The firm’s director of tax credits, Marty Bershtein, was a director of tax credit services with the New Jersey Housing and Mortgage Finance Agency for many years—and also happens to be Kadish’s cousin. Before he joined CAPREIT, the firm had only done 80-20 deals. The deal comes fresh on the heels of Starwood’s acquisition of 7,000 LIHTC units in The Wilson Co. portfolio deal down in Florida, which CAPREIT also bid on a few months back. Does Starwood’s deal signal more interest in LIHTC properties from market-rate owners? Kadish isn’t so sure, citing the expertise needed to operate and manage income-restricted properties. “There’s a lot involved on the compliance side—you have to have that background to be successful in this space,” says Kadish. “And, we have a great in-house compliance staff." Aside from preserving affordable housing in a market starved for it, the company sees some pretty good upside on the bottom line. Many LIHTC properties are operated by smaller firms who manage for occupancy, but leave money on the table in the process—charging below-market tax-credit rents. Kadish says he often sees smaller operators charge $50 to $90 less than they could. But beyond that, as the multifamily industry in general sees a glut of Class A new construction come online, affordable properties should benefit from a trickle-down of demand. 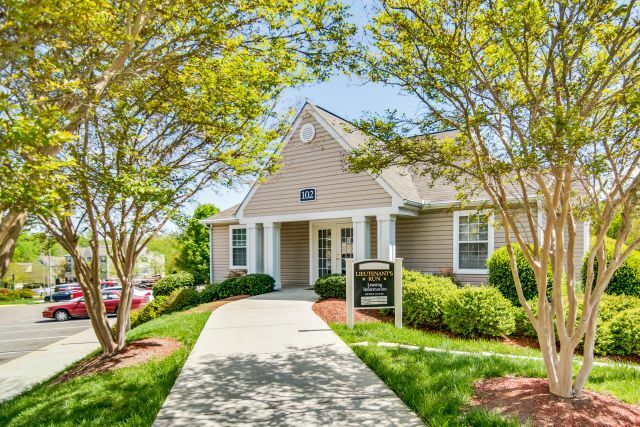 CAPREIT assumed some debt from the Virginia Housing Development Authority to make the deal happen, saying the agency was a pleasure to work with.